Need Help With Your Idea? blogging, Business, creating, entrepreneurs, What is Your Vision? In a growing company, juggling side projects and a full-time job is often frowned upon. Everyone is supposed to be focused on one goal and one goal only — building the company. Any work that appears to sway from that overarching goal is viewed in a negative light. But side projects don’t actually have to steal focus away from the company’s main objective. They can be useful as an outlet for creative energy, as a way to develop employees, and even as a tool to bring in new clients. It all depends on how you treat these projects. If they’re looked down upon and discouraged, you won’t see any of the benefits. If leadership embraces the idea of passion projects and offshoots, some spectacular things can happen. Think of it like a daily walk. It’s comfortable to take the same route every day because you see the same stores, the same people. There may be minor deviations, but usually you know what to expect. But if you want to see something new, you have to take different streets. The original path may be trustworthy and dependable, but it won’t ever take you out of your comfort zone or help you see things in a new light. It’s only when you change your route that you run into new people, hear new voices, find new restaurants. That’s what your side projects are — little side streets that can lead you to new ideas. Deviating from the norm opens you up to new opportunities. I’m not advocating you split your attention between multiple time-consuming ventures. Honestly, 90% of your time should be focused on your core business and its requirements. But sometimes, in order to get where you want to go, you have to take an approach that isn’t totally linear. Our team at Chronicled established a company as a passion project called the Blockchain Art Collective (BAC), which is separate from the work we do with supply chains. Recently, we were helping an organization register art and antiquities through the BAC. And now, that party has expressed interest in using our supply chain capacities to track pharmaceutical drugs — one of our core company solutions. So what started as a side company ended up bringing our organization business. It wasn’t the most direct route, but it did open up an opportunity we might not have had otherwise. It can improve employee retention and company sustainability. Passion projects are often about giving people the time, permission, and resources to do something a little different. These opportunities can be significant, say a sabbatical after several years of hard work. Or they can be smaller, more frequent breaks for people to pursue their interests. Allowing employees to invest just 5% of their time at work into related projects can lead to major growth and new discoveries. In fact, it can help attract the younger generation of workers since 78% of Millennials believe being involved in side projectsis beneficial to their careers. And outside projects give employees some leeway to work outside the strict confines of their normal day-to-day workload. That outlet can be key to retaining employees for the long run. High turnover rates are costly, not just financially, but in terms of the human capital you lose and the negative impact it can have on morale. Giving your team an outlet — even one that’s tangentially related to the work they’re doing — is a good way to foster individual growth and keep people from burning out. Ideas will compound into something bigger and better for your team. Many people are actually more productive when they have a lot going on. When they know they need to get several things done in a day, they work harder to meet those deadlines. I started my first company while I was still getting my Masters. Looking back, it’s hard to believe I was doing all that at once. But that’s how I’ve always been. Even in college I gravitated toward interdisciplinary studies — combining what I learned in my logic or astronomy classes with what I was writing about in my English or anthropology classes. I never felt like my company and my schoolwork were at odds. I never felt like any one of my classes pulled my attention away from the others. Instead, I felt like they were compounding and creating new perspectives, thought processes, and ideas. Matt Adams from Online Growth Guru has written a blog post called How to start a business – the MEGA guide. The guide is over 8,000 words but has been broken down into chapters. This article summarises the chapters, so you can get a feel for whether it will help you in your journey to becoming an entrepreneur or even an inventor. The first section is about Matt himself, he talks about his failures and challenges in his first business. But he also explains the mistakes realised and lessons learned from being new to an industry that was hugely competitive and much more technically advanced than his ‘little’ start up. This section discusses the importance of short term sales techniques vs long term marketing strategies. Also, in this section, the article explains how to be strong in negotiations and make sure you close the deal at the earliest opportunity. The biggest question on a lot of people’s minds is ‘How do I raise money to start a business’. The final section of the guide goes on to talk about ways in which you can acquire finance or a loan, so you can get going with your idea. It also advises on some of the best ways to start a business with no money. Such as consulting or freelancing. Read the Fine Print before you sign. It all sounds so good, and easy. You have spent hours and perhaps years creating your product. You have spent money making prototypes and patents. We know those are not cheap and can take years to get. You see an ad on TV and it sounds great! They can do it all! You meet with someone and they love your idea as much as you do, or so they say. Here is the kicker. They are in it for the money. I am not saying they aren’t entitled to be paid for their work. The problem is, they rarely do work. Inventors do not ask enough questions or talk to enough people about the company they are choosing. It is based on pure emotion. They sign a contract to pay and they don’t know what they are getting in return. Inventors are easy pickings for a lot of companies. They tell the inventor what they want to hear and the inventor jumps at the chance. Their credit card is out so fast, they forgot to read the fine print. Inventors will frequently ask why they need to spend the money on a US patent search, and all too frequently believe patent searches are unnecessary. There are various iterations of this question, starting out with “why do I need a patent search, I’ve already searched myself and cannot find anything,” to “there is nothing on the market like their invention, so why would a US patent search be necessary?” After all how could someone have ever come up with their invention? Surveying the market is a wise first step, but there may be patents lurking. There are various reasons for this, but one big reason is because an independent inventor or small company came up with the invention previously, filed and obtained a patent, but then lacked the resources or know-how to bring the product to market. Then when others came up with the same or similar idea and found that issued patent they abandoned the project and never took the product to market because they could not own the exclusive rights, which meant that if the product succeeded on the market a larger competitor could simply copy with impunity. It is also a wise first step to do your own patent search if you are an inventor. Spending time looking for related patents and perhaps even more importantly reading related patents is a very useful endeavor. If you can find a patent reference that you feel is too close for comfort then you have saved the money associated with paying for a professional patent search and/or hiring a patent attorney or patent agent. Notwithstanding, I am always skeptical when I hear inventors say that they have done their own US patent search and have found nothing. Patent searching is as much an art as it is a skill, and if you are not familiar with advanced search strategies it is not surprising that you are unable to find anything too close, but rest assured there are always patents to find that are at least similar in some ways. I have put together a patent search tutorial, which will help give you some strategies. So absolutely start with your own patent search, but at some point before spending thousands of dollars to obtain a patent you should obtain a professional patent search and patentability opinion. If you hire a professional patent search firm you may want to also consider adding an international patent search. Some search firms may already include an international patent search in the price, or at least a search of certain foreign databases. While US patent searches are essential, international patent searches are preferable if you can afford the extra cost. The patent process can be expensive. The last thing you want to do is spend a lot of money preparing and filing an application when there is easy to find prior art that will prevent a patent. For this reason many inventors and businesses will choose to begin the process by paying for some kind of patent search. The expense of a patent application is saved if knock-out prior art is located. If no serious road blocks are found the patent search will normally lead to a better, stronger patent application and potentially smoother application process. The reason US patent searches lead to a better, strong patent application is because the first application filed is absolutely critical. All aspects of your invention must be disclosed, nothing new can be added without compromising the all important filing date (aka priority date). After having done a patent search the initial disclosure can be specifically written to carefully define your invention so as to focus on what is most likely the patentable feature or components. Who can do a US patent search? Anyone can do a patent search using the online Patent Office database, but this database only contains patents issued since 1976, so such a search is not complete. Google has a patent search engine is very quick, and it includes patents going all the way back to into the early 1800s. Unfortunately, Google Patents has a limited number of searchable fields. Still, Google Patents is an excellent first place to start, particularly where you don’t know exactly what you are looking for. How can you not know what you are looking for? The answer is simple. You know your invention, but likely won’t know the exact language patent practitioners typically use to describe the features and functions of your invention. Many years ago I was doing a search on a bubble mailer, but couldn’t find anything initially. After spending a little time searching it became clear that the term “bubble mailer” was not the way that patent practitioners were describing this. I could have given up, but knew there had to be something. After searching I finally found a reference that described something similar. When I revised my search terms I found a trove of related references. To find the best results with a word search you need to know how patent practitioners describe things in patent applications and issued patents, that is when the most relevant prior art will be located. Using Google Patents at least initially is very helpful because they search synonyms. After you find some relevant patents you might find it helpful to switch over to FreePatentsOnline.com, which allows for specific fields to be searched. Indeed, using both FreePatentsOnline.com and Google patent search makes a lot of sense. The best and most reliable patent search will be done by a professional that is intimately familiar with both advanced searching techniques and classification systems. If you are not familiar with advanced search techniques and classification you are almost certainly going to miss the most relevant prior art in your own search. So search on your own to see if you can find something without spending any money, and to educate yourself on what information is included in patents. Then before you file remember that it is better to spend hundreds of dollars on a professional patent search now than to spend many thousands of dollars only to learn later that a patent cannot be obtained. Why can’t I just get a cheap patent search? Before you purchase a no-frills patent search it is important to know what you are getting. Frequently, overseas providers are the ones offering bargain basement prices. These searchers may not speak English as their first language, and sending technical information overseas can violate US export laws. Respect for propriety rights may also be limited, making it culturally acceptable to take or share propriety information. Having someone who does not speak English as their first language and who does not live in the US do a patent search is extremely dangerous. I have no doubt overseas searchers are intelligent, but the way you find references is by knowing how patent attorneys and patent agents would or could describe various features and components. Therefore, intimate familiarity with the English language and common usages of the English language are absolutely essential. One example on this point. Many years ago my firm had a client who literally invented a new hog trap. 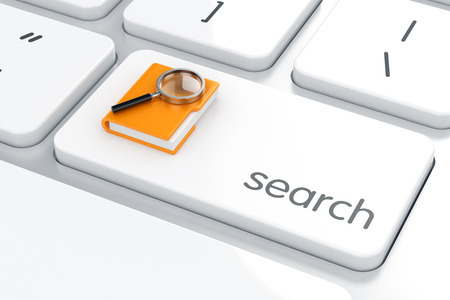 An overseas search company performed the patent search. We knew immediately that the search could not be relied upon. Of course, one of the problems is sometimes when you obtain bargain basement US patent searches it is hard to know if the search is reliable, which is why pay a little extra for a professional search by a reputable search firm make sense. In this cautionary example the patents found related to a pipelines for commercial and industrial applications. Devices known as “pipeline pigs” are used to conduct maintenance on pipeline without requiring the pipeline to be shut down. According to Wikipedia these devices originally got their name because when used a high pitch squealing noise is made, which sounds like a pig. Obviously, the searcher who didn’t understand our inventor’s hog trap simply searched synonyms, trading hog for pig. We knew that the search was unreliable, but sadly bad searches frequently lead to elation because the search uncovers nothing even close, which makes the patent search suspect. Does a professional patent search come with a guarantee? Unfortunately, no guarantees can be provided. Pending patent applications are published 18 months after filing, which means not all relevant prior art can be found even with a professional patent search. Even with an exhaustive and professional patent search cannot locate everything pending and not yet published. Additionally, when you do apply for a patent it is extremely likely that the patent examiner will rely on at least some patents that you did not know about. Examiner rejection are sometimes unanticipated. It can also be due to the fact that the description of the invention is unintentionally overbroad. Sometimes it is because an examiner will weave together multiple patents to make a rejection. Receiving a rejection from a patent examiner is as normal and common as paying taxes every April 15th. The key to obtaining a patent is to have an application with sufficient disclosure (both broadly defining and narrowly defining your invention) so that if an examiner does make a rejection or find prior art that you can amend your application as necessary to satisfy the examiner and obtain a patent. Therefore, it is important to understand that the goal of a patent search is not to guarantee that there is no relevant prior art that will bar patentability, but rather to investigate whether pursuing with the expense of a patent application makes sense. Patent searches allow you to make fully informed business decisions. What about US patent searches from invention promotion companies? There is absolutely a dark side to the invention marketplace, and inventors need to be careful. No better example exists than the Federal Trade Commission winning an injunction against World Patent Marketing, a company charged with devising a fraudulent scheme to use consumer funds to enrich themselves. Part of the typical invention scheme is to tell you what you want to hear. Suspect companies tell you that they are excited to work with you and recommend a patent search that will cost around $800 (typically). Then they come back with great news, they cannot find any patents that relate to your invention, which should be a red flag. With nearly 10,000,000 issued US patents and many millions of published patent applications it would be quite rare for an invention to address a problem never before considered by anyone. There are reputable companies you can work with in the invention space. When looking for a reputable company it is important to understand that the hallmark of a legitimate company is they will not do absolutely everything you need. Be careful when a company promises to be a one-stop-shop. While it is perfectly legitimate for companies work together, it is extremely unusual for any company to provide a professional patent search, engineering support, licensing services and legal services. Indeed, the ethics rules largely prohibit patent practitioners from working with these types of companies. So be careful (and suspicious) if you never get any direct contact with a patent attorney or patent agent. Do I Need a Patent Attorney for a US Patent Search? There is a longer answer here that deals with whether it is wise to pursue a patent application without a patent professional, but given the topic here relates to US patent searches for now suffice it to say that if you only pay for a professional patent search you are going to get just a list of patents that are relevant, or maybe copies of the patents. When you purchase patent searches you do not get a patentability opinion, nor do you get to talk to someone to help you interpret the results of the search. Most inventors want and need to have the results interpreted and explained by either a patent attorney or a patent agent, so if that is the service you are looking for be careful when you go directly to a patent search firm and purchase only a patent search. For competent, thorough US patent searches alone you would pay at least $400 for something that is relatively simple and up to $800 to $1,000 for a search alone on something complex, or deals with software. This cost is for the professional patent search alone, and does not include the cost of an attorney to review the search and offer an opinion about patentability. Entrepreneurship and innovation are synonymous with MIT. Big thinkers from around the world come to MIT Sloan Executive Education to take advantage of our renowned faculty, research, and resources that can help turn their ideas into successful ventures or social impact. We teamed up with Professor Bill Aulet of the Martin Trust Center for MIT Entrepreneurship to assemble a collection of resources to help you get your venture off the ground. The Entrepreneurship Toolkit includes links to articles, a webinar, a 15% discount code, and other sources of business-building wisdom. Sometimes the best inventions are discovered by accident. One day in 1928, Sir Alexander Fleming returned to his lab in London after a two-week vacation to find that mold had developed on a contaminated staphylococcus culture plate. The scientist was searching for a “wonder drug” to cure a wide variety of diseases. A moldy Petri dish was not a part of the plan, but Fleming noticed the culture had prevented the growth of staphylococci. Further examination revealed penicillin, a powerful antibiotic that could be used to treat everything from tonsillitis to syphilis. Sir Alexander Fleming’s careless mistake became one of the most important medical discoveries in history. Thanks to penicillin, the rate of death due to infectious disease is now 5% of what it was at the beginning of the 20th century. Today’s infographic, from Broadbandwhatever, highlights some noteworthy accidental inventions in modern history and demonstrates that not all accidents are created equal. The 1880s was the era of miracle elixirs and across America pharmacists were cooking up “cures” for every conceivable ailment. Atlanta-based pharmacist, John Pemberton, capitalized on the trend by selling a French Wine Coca concoction that was touted as a cure for headaches and nervous disorders. Pemberton’s business hit a speed bump in 1885, when Atlanta banned the sale of alcohol, so he omitted the wine and created a coca-based syrup that could be mixed with carbonated water and drank as a soda. He named this new “brain tonic” Coca-Cola. Swiss engineer George de Mestral was out hunting in the Alps with his dog when he noticed burrs sticking to its fur. To satisfy his curiosity about what makes burrs so “sticky”, Mestral viewed one under a microscope and observed the tiny hooks that allow it to latch on to surfaces like fabric and fur. For years, Mestral experimented with a variety of textiles before arriving at a solution: Velcro, which he eventually patented. The technology was useful, but really began to take off in popularity when Apollo astronauts used Velcro to keep objects secure in orbit. Next time you’re making breakfast, remember that Roy Plunkett is the reason you’re able flip pancake with ease. Long before CFCs became the environmental super-villain depleting the ozone layer, the chemist was aiming to create a new type of chlorofluorocarbon. One day, when Plunkett returned to a refrigeration chamber to check on an experiment, a canister that had contained gas had vanished leaving a few white flakes behind. Upon examining the mysterious substance, he realised it had a very high melting point and was very effective as a lubricant. Teflon was first used in military applications and is now famously applied to cookware around the world. How to Patent an Idea & is it Worth it?